GIRAFFES JUST SILENTLY WENT ON THE LIST OF ENDANGERED ANIMALS FACING EXTINCTION! Two subspecies of giraffes were recently added to the list of "critically endangered" species for the first time ever, as per the latest report by the International Union for Conservation of Nature (IUCN), which administers the world's official endangered species list. The IUCN reported that they have moved the giraffe from the list of 'Least Concern' to that of 'Vulnerable' status in their Red List of Threatened Species report. MAKE YOUR TAX-DEDUCTIBLE GIFT HERE TO SUPPORT GIRAFFE CONSERVATION. SUPPORT OUR GIRAFFE RESEARCH PROJECT AT THE UNIVERSITY OF BOLOGNA, ITALY! Urinalysis and proteome evaluation in captive giraffes (Giraffa camelopardalis) and okapis (Okapia johnstoni). Although the urinalysis is a useful tool in veterinary practice, this technique has not been extensively utilized in exotic animal medicine and reference values are absent. This lack of scientific knowledge makes it difficult to make a diagnosis of renal or urinary diseases and it puts the health status of the captive Giraffid in danger. Indeed, even if the renal and urinary diseases have been reported in Giraffid (Wolfe et al., 2000; Sullivan et al., 2010; Webb et al., 2010; Haenichen & Rietschel, 2001; Haenichen et al., 2001) no study hasbeen conducted to obtained renal physiological data. Therefore, it clearly appears urgent to discover the urinary parameters of Giraffid. On one hand, this information may allow the zoo’s vets to guarantee the health status in the Giraffid hosted in the zoological parks. On the other hand, this method could allow the researchers and the conservationists to monitor repeatedly the animals included in ex situ conservation programs or the reintroduced animals in the wild. Lastly, the giraffes’ unique physiology and susceptibility to handling and anesthesia make dangerous the investigation of health status in this species. Indeed, the anesthesia could be lethal and the risks connected with the sedation are high (Dagg, 2014). Therefore, it is essential to achieve the largest amount of information with non-invasive methods and to develop non-invasive diagnostic tools for monitor the health status without stress or improper human handling. Some studies in literature have pointed out how the diet could affect the urine’s composition in giraffes. Indeed, Sullivan et al. (2010) investigated the nutrient concentrations in the diet, serum, and urine of giraffe from North American zoos, reported the urine preliminary data on giraffes’ urine. Additionally, they described a case of urolithiasis in this species. Wolfe et al. (2000) and Webb at al. (2010), as well, reported another cases of urolithiasis in giraffes. Another study field was the anatomy of the kidney of giraffes and okapis (Maluf, 1981; Maluf, 2002). As concerning the okapis, only Glatston and Smith (1982) have proposed the first data on urinalysis, while more recent study was focused on glycosuria (Fleming et al., 2006; Kawasaki et al., 2014). As regarding the renal disease, the chronic interstitial nephritis has been reported in this species (Haenichen & Rietschel, 2001; Haenichen et al., 2001). 1. To perform a complete urinalysis and to detect the urinary and renal reference values in these species. f) The urine proteome evaluation using the electrophoresis 1D. 2. To detect and to identify the urine biomarkers connected with renal diseases, correlating the obtained results with who are reported in veterinary literature. Indeed, the application of the urine biomarkers is widely use to diagnose renal or systemic diseases in both veterinary and human medicine (Pisitkun et al., 2006; Fliser et al., 2007; Carty et al., 2013; De Loor et al., 2013). b) The single protein identification with Mass spectrometry. 3. To detect the bPAP (Bovine pregnancy-associated protein) in giraffes and okapis. The bPAP protein is high correlate to bovine pregnancy (over 97%) and it could be used for the diagnosis of pregnancy (Pyo et al., 2003). The use of protein identification with Mass spectrometry will allow identifying the presence of the bPAP. Every urine samples from pregnant females will be achieved to recognize this protein, evaluating if the pregnancy weeks or the species will influence the presence or the absent of the bPAP. 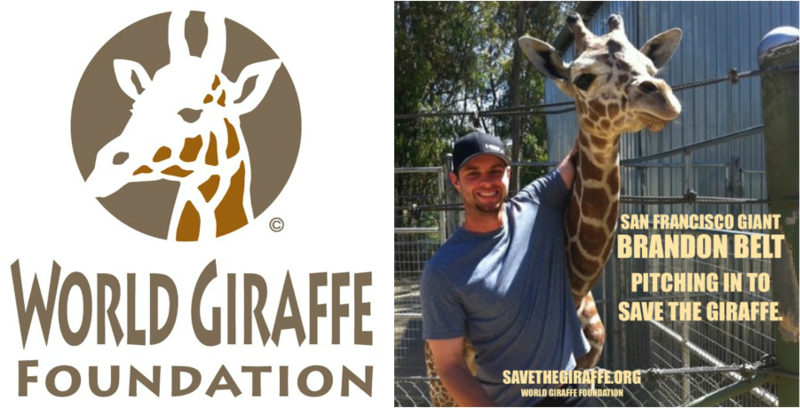 The World Giraffe Foundation is a California non-profit corporation and a 501(c)(3) tax-exempt organization.